111-Portland, misc. [stamp]: Photo Art Commercial Studio, 420 S.W. Washington St., Portland 4, Ore. Phone 224-5665. Photo No. C-406941-7. 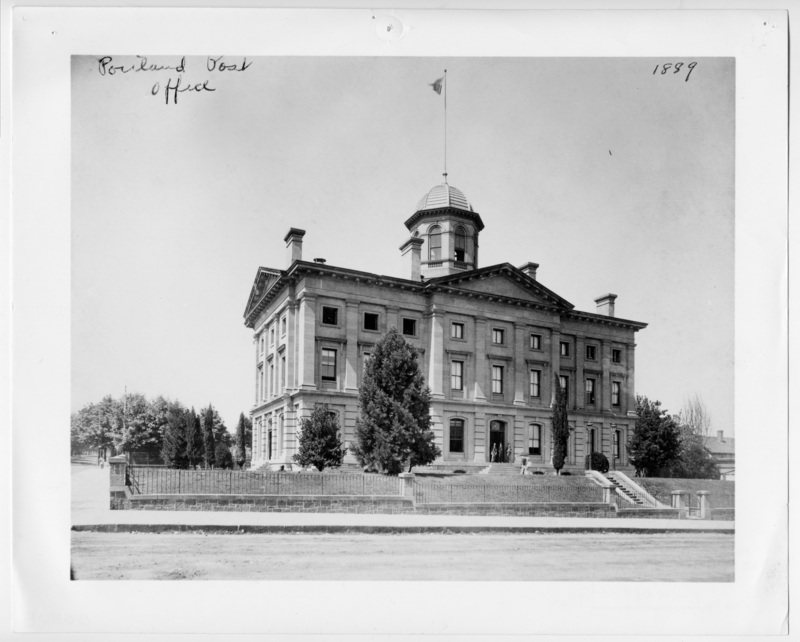 Description Printed on front: Portland Post Office, 1889. Pinholes. Transcription 111-Portland, misc. [stamp]: Photo Art Commercial Studio, 420 S.W. Washington St., Portland 4, Ore. Phone 224-5665. Photo No. C-406941-7.